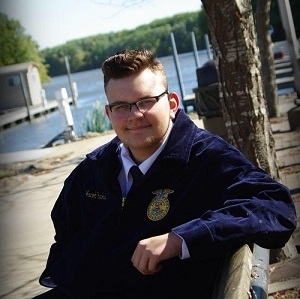 A member of the South Central High School FFA is being recommended to receive the highest award possible from the Illinois FAA. Jacob Hanks recently interviewed for his State FFA Degree. Hanks has already been named the Section 19 Star in Agricultural Placement. This means he was selected as the best individual with record books on an agriculture-related job where he works for Layers Inc formerly known as Farina Farms in Farina. Jacob will advance to district stars competition in March.